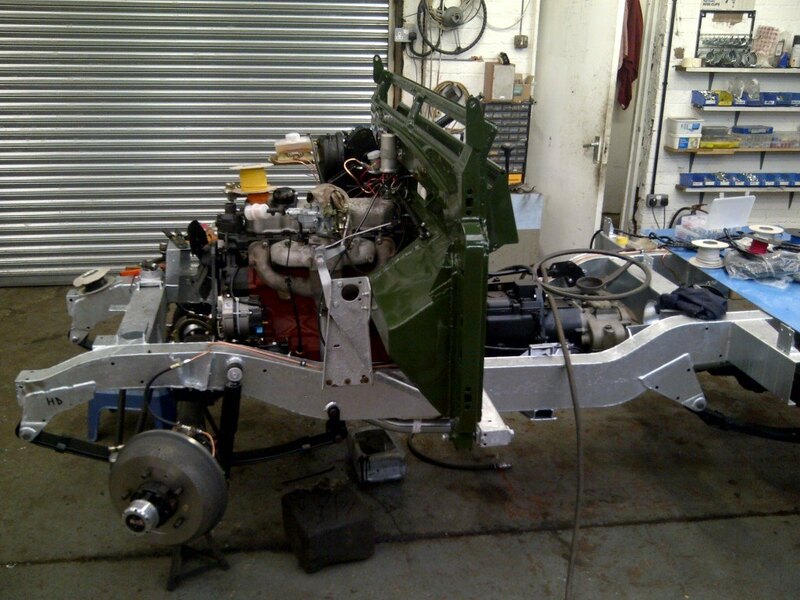 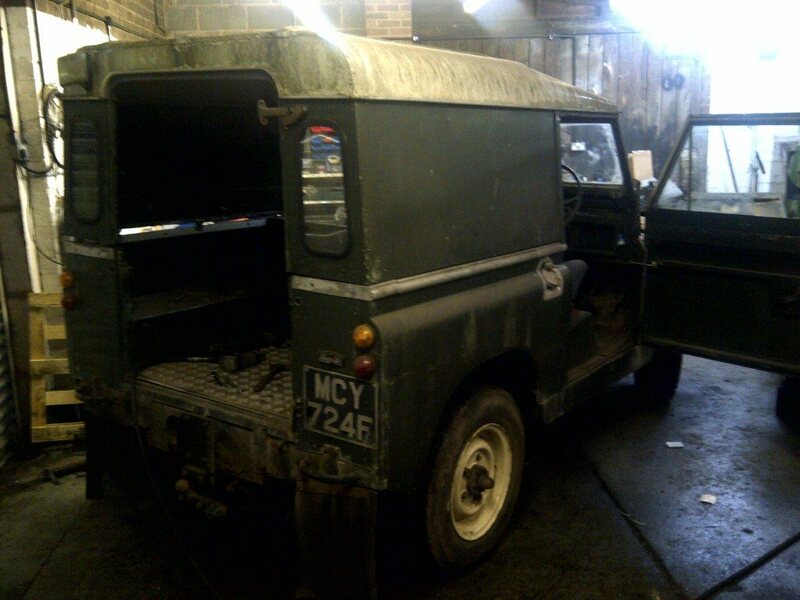 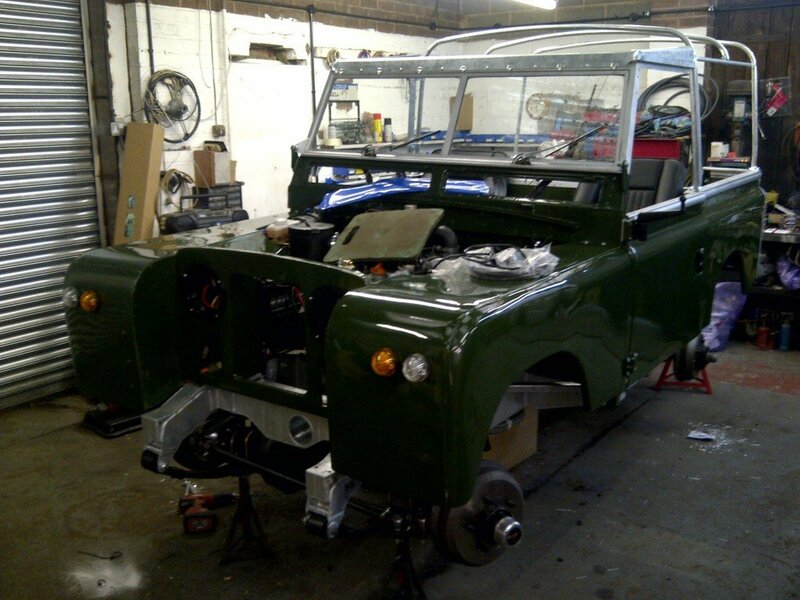 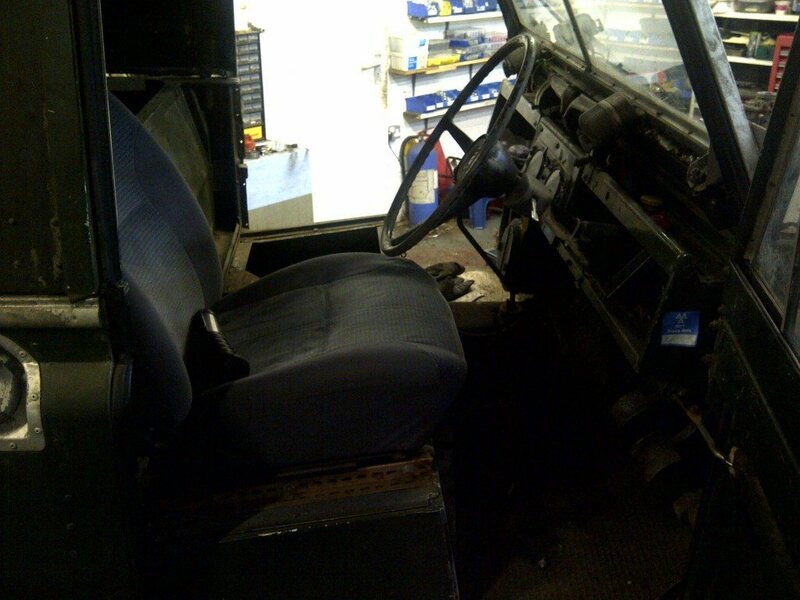 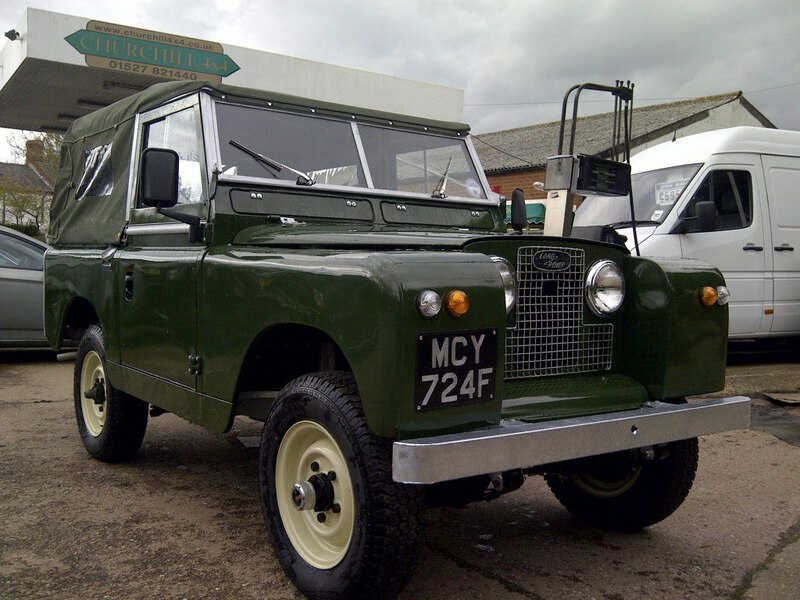 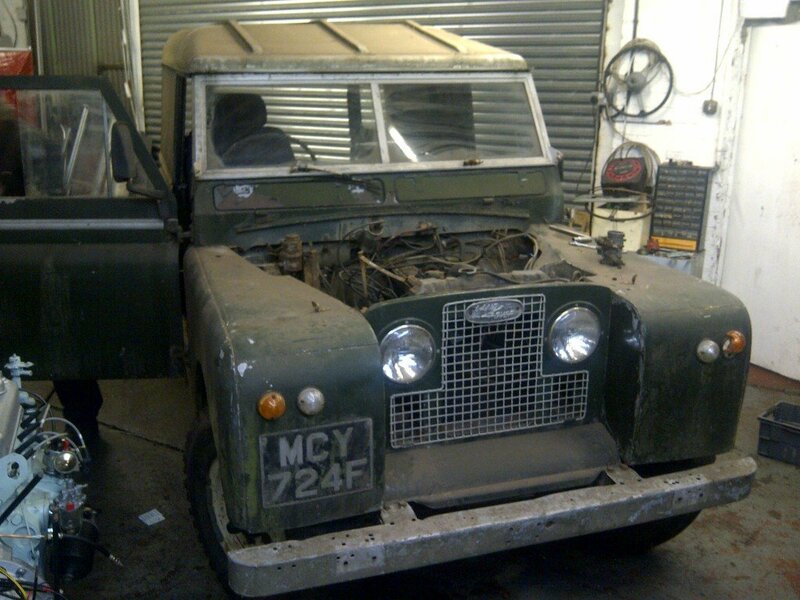 This is the restoration of a 1967 Land Rover Series 2a SWB 2.25 petrol. 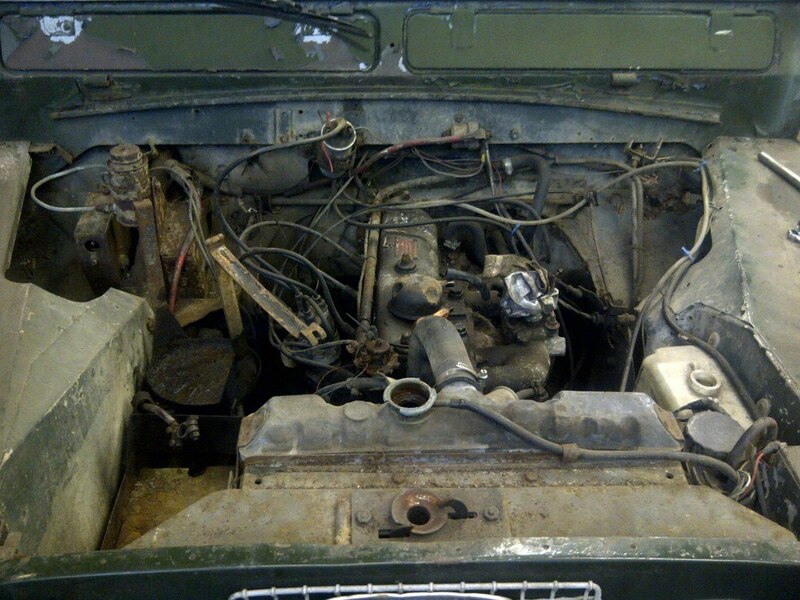 Pictures below show the restoration before, during and after. 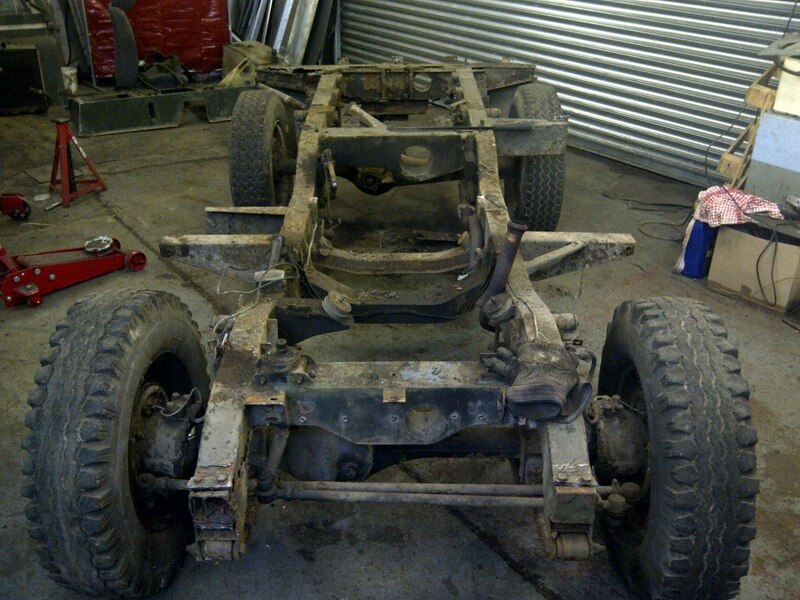 The donor vehicle was complete but had a rotten chassis and bulkhead. 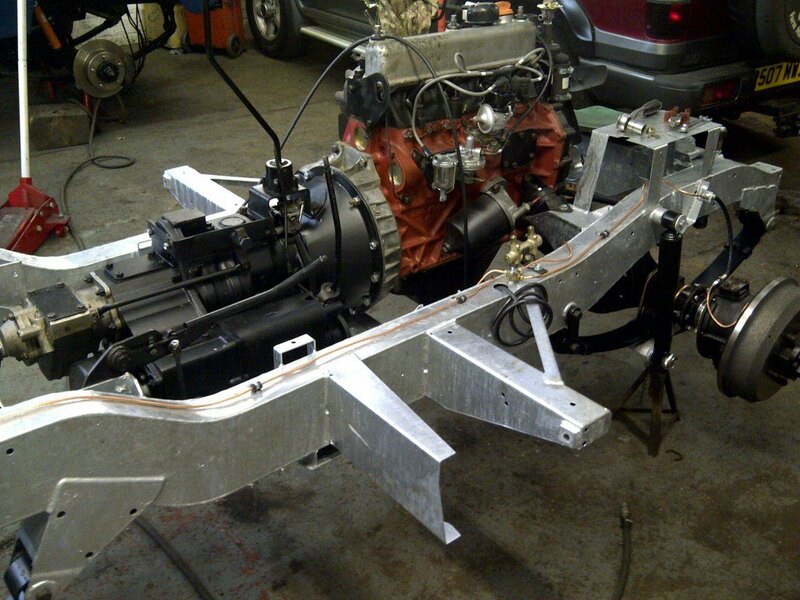 It was completely stripped down so a nut and bolt restoration could be carried out to our customers requirements. 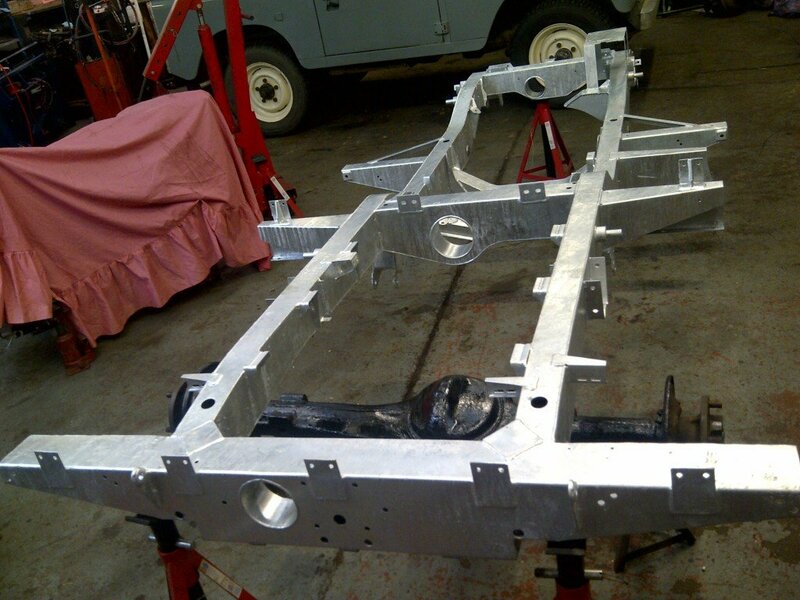 A new galvanised chassis was fitted and a donor refurbished galvanised bulkhead we provided from our stock of refurbished bulkhead. 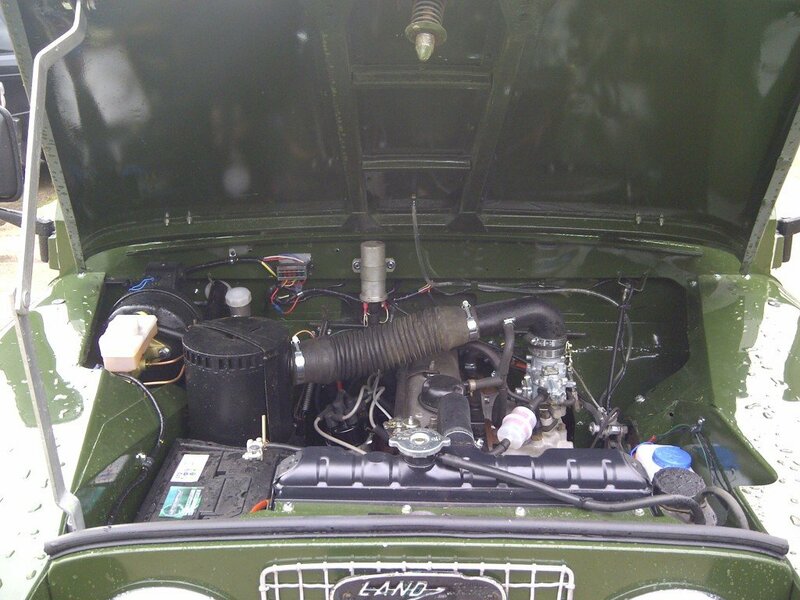 The engine was changed for a later 5 bearing crank version and fully reconditioned including unleaded conversion. 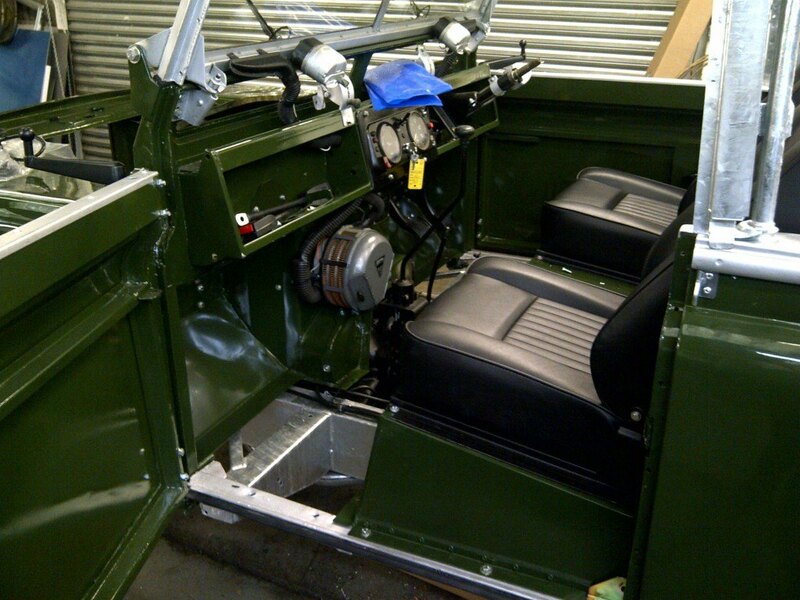 Gearbox was also uprated for a Series 3 full sychromesh version and again fully reconditioned. 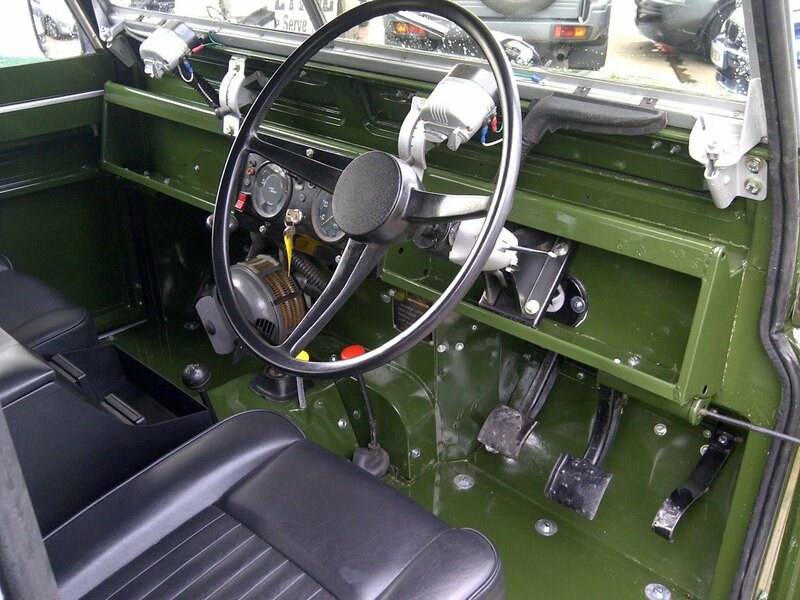 All other mechanical items were either new or reconditioned. 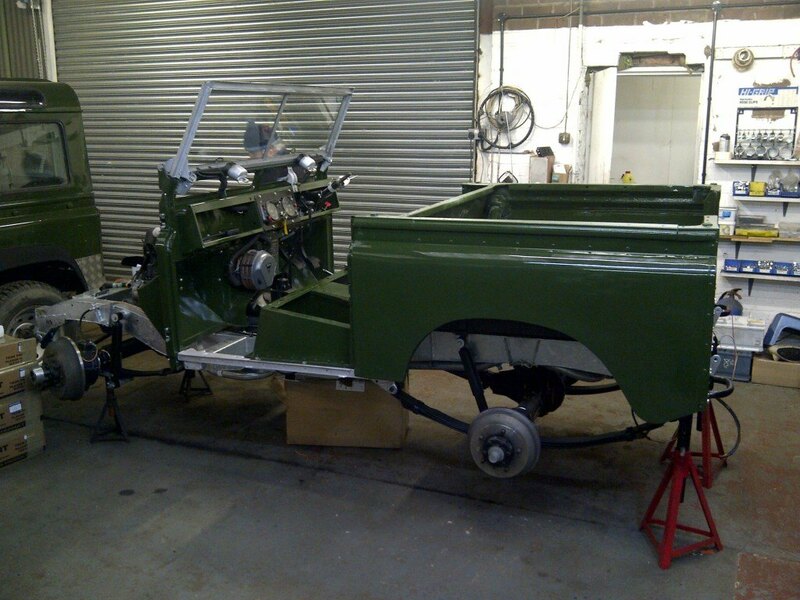 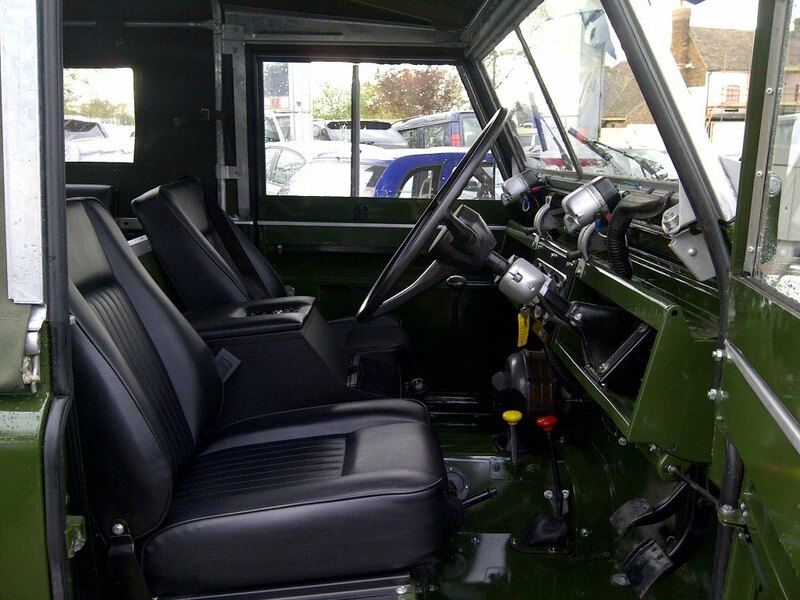 Bodywork was resprayed in original Bronze Green colour and soft top conversion carried out. 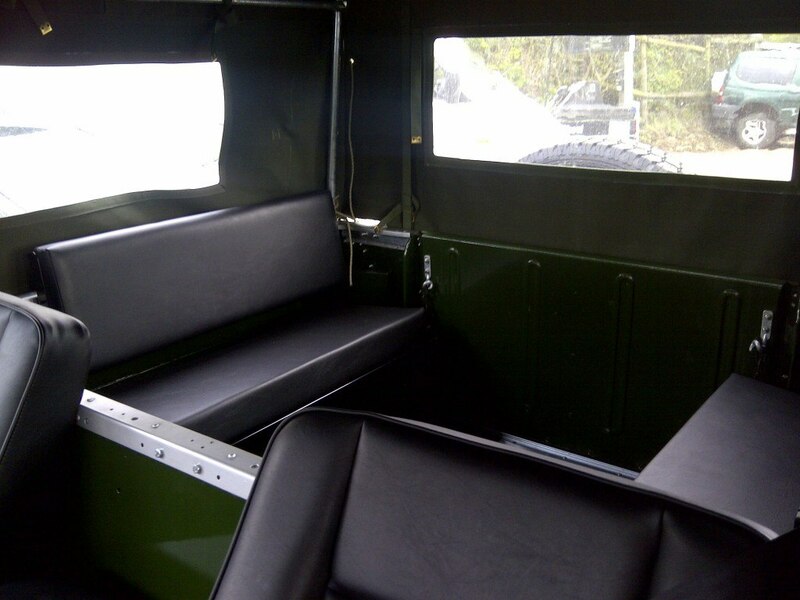 New interior was fitted including a lockable centre cubby box for storage of valuables. 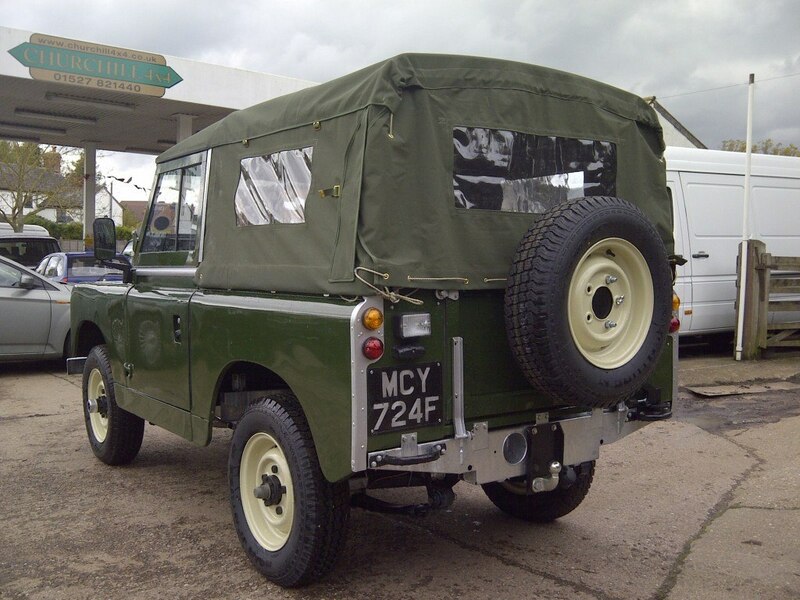 A swing-away rear wheel carrier meant that the load area was as large as possible for carrying passengers and also ensured the drop down tailgate could still be fitted.